Comments: Provides a source of nectar for early arriving hummingbirds. The seeds are posionous. It does not like dry soil. This plant can be grown as a intermediate sized shrub, but will become tree-like in ten years or so. Excellent shrub for woodland gardens and other naturalistic plantings. 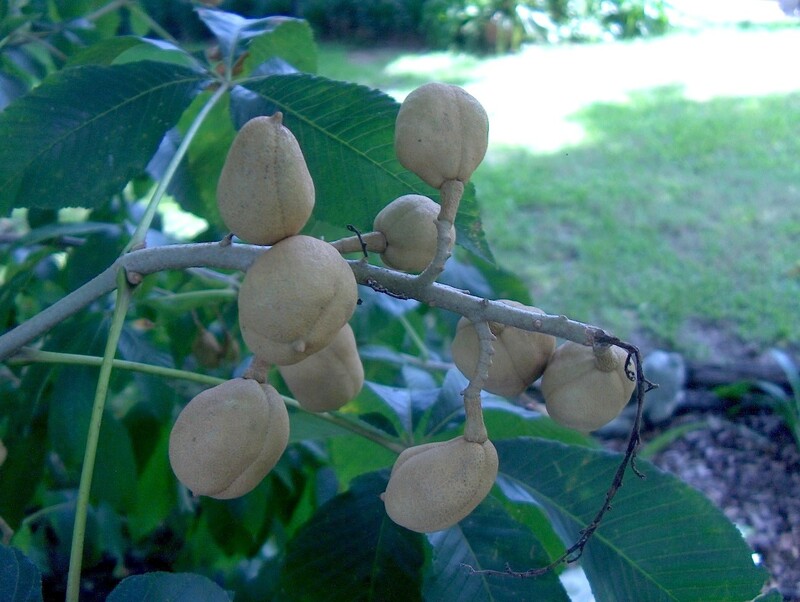 There is a saying that keeping a buckeye nut in your pocket or purse will bring good luck.